Education, Employment and Earnings for Scientific and Technical Workforce in India: Gender Issues, Indian Journal of Labour Economics, Vol.43, No.1, 2000. Two-Tiered Earnings Estimation of Employer and Employee Information in the Labor Market" Asia-Africa Journal of Economics and Econometrics, Vol.1, No1, June,2001. Determinants of Child Schooling in Maharashtra, Journal of Educational Planning and Administration, Vol.XV,No.4, 2001. "Empowering Rural Women through Self-Help Groups: Lessons from Maharashtra Rural Credit Project" Indian Journal of Agricultural Economics, July-September, 2001, Conference Volume, Vol.56, No.3, July-Sep, 2001. Social Protection for Urban Informal Sector Workers: Micro Evidence From Erode District, Tamil Nadu, Indian Journal of Labour Economics, Vo.44, No.4, Oct-December, 2001. Asymmetric Information and Ignorance in the Labour Market: A two-tiered Earnings Frontier Estimation, Indian Journal of Social Science Review, Vol.4, No.2, December, 2002. The Impact of Trade Unions on Compensation for Job Risks, International Review of Economics and Business, Vol.L-No.1, March, 2003, University of Milan, Italy. "Earnings Frontiers and Labour Market Efficiency: Evidence from India", International Journal of Applied Business and Economic Research. Vol.1. No.1, June 2003.
Credit Constraints and Distress Sales in Rural India: Evidence from Kalahandi District, Orissa (with Gagan Bihari Sahu and D.Rajasekhar), Journal of Peasant Studies (Routledge), Vol.31.No.2, 2004. The Dynamics of Economic Growth, Inflation and Growth of Labour Productivity: The Case of Indian Manufacturing Sector (with Badri Naryan Rath)", The ICFAI Journal of Industrial Economics, Vol.11, No.2, 2005, pp46-53. Economic and Social Benefits of Micro-Finace Programmes: An Econometric Analysis, Studies in Macroeconomics and Welfare (in eds.) B.B.Bhattacharya and Arup Mitra, Academic Foundation, 2005. Productivuty Growth of Indian Manufacturing Sector: Panel Estimation of Stochastic Production Frontier and Technical Inefficiency, (with Badri Naryan Rath and Hailin Liao), Journal of Developing Areas, forthcoming. Caste Discrimination in the Indian Urban Labour Market: An Econometric Analysis, International Review of Economics and Business, Italy, forthcoming. Determinants of Labour Productivity in the case of Indian Manufacturing: A Panel Data Analysis, (with Badri Narayan Rath), Indian Economic Journal, Forthcoming. Valuations of Life and Injury Risks, Project sponsored by SANDEE(South Asian Network for Development and Environmental Economics), Nepal. Comprehensive Study of Beedi Industry in Karnataka (with D.Rajasekhar and K.G.Gayathri Devi) sponsored by Department of Labour, Government of Karnataka. Design and Management of Social Security Benefits for the unorganised sector workers (with D.Rajasekhar and G.K.Karanth) Sponsored by GTZ, Germany. 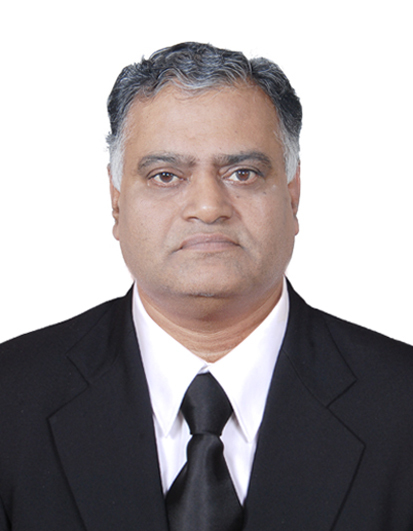 Member, Industrial Relations Committee, Federation of Karnataka Chambers of Commerce and Industry. Technical Adviser, South Asian Network for Development and Environmental Economics. Joint Secretary, The Indian Econometric society, 2002. Indian Association of Educational Planning and Administration (Life Member).